Pro modellers formulate their own supplies every so often. 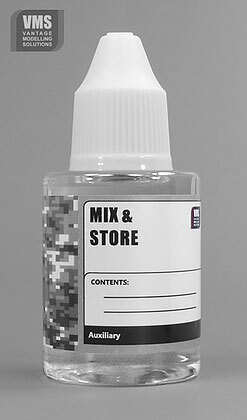 This handy MIX & Store bottle can be filled with paints, thinners and other fluid products. Bottle is made of PET which has very good resistance to many chemicals and will hold your supplies no problem.